The Regional Transportation Plan (RTP) serves as the planning blueprint to guide transportation investments in the County involving local, state, and federal funding over the next twenty years. Transportation improvements are categorized as short-term (0-10 years) or long-term (11-20 years). The overall focus of the RTP is directed at developing a coordinated and balanced multi-modal regional transportation system that is financially constrained to the revenues anticipated over the life of the plan (2030). The coordination focus brings the County, City of Bishop, Indian Tribal Governments, resource agencies, and citizens into the planning process. The balance is achieved by considering investment and improvements for moving people and goods across all modes including roads, transit, bicycle, pedestrian, goods, and aviation. Individual projects identified in the Regional Transportation Plan will receive further project-specific environmental review. Comprehensive updates to the RTP are supposed to be completed every 5 years. In 2014, the Inyo County LTC elected to update the RTP every 4 years after the completion of the 2015 update. As a result of this change, Inyo County and the City of Bishop are now only required to update the Housing Elements of their General Plans every 8 years. 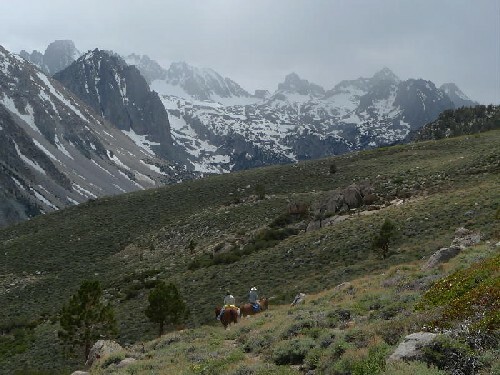 2019 Update - the Inyo County LTC has hired LSC Transportation Consultants Inc. to complete an udate of the Regional Transportation Plan. The update is requred to be completed by September 15, 2019. To solicit feedback, a flyer will be published in the Inyo Register. The flyer includes a link to a survey called "What are the most important transportation needs in Inyo County?" The public is encouraged to complete this survey at www.surveymonkey.com/r/Inyo2019RTP. 2015 Update - at their September 16, 2015 meeting, the LTC adopted the Regional Transportation Plan Update. The Inyo County Regional Transportation Plan is now available to view by following the links below.